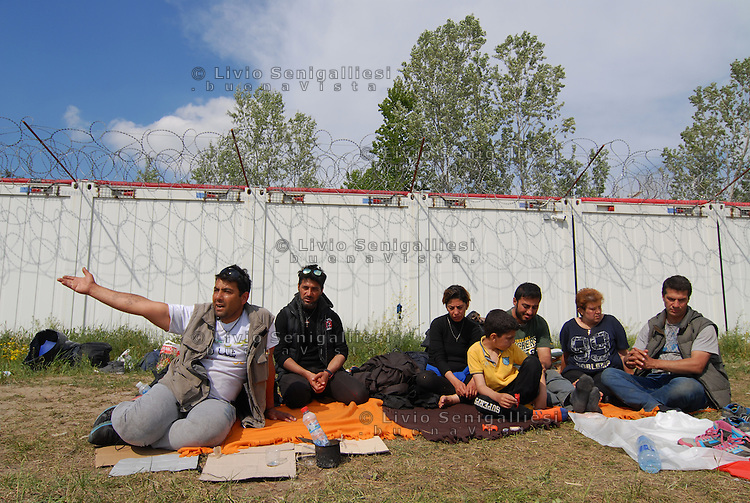 A family of Iranian refugees stuck in no man's land between Serbia and Hungary. They are living outdoors for weeks with no hope. Only MSF mobile clinic delivers food, water, blankets and medical treatments.